EDIT: Advault isn't responding to their support queries, so better stay away from them. If you need an alternative, then please go with Adplexity native(link below). Native ad is the hottest buzz in the industry. The reason is very simple. 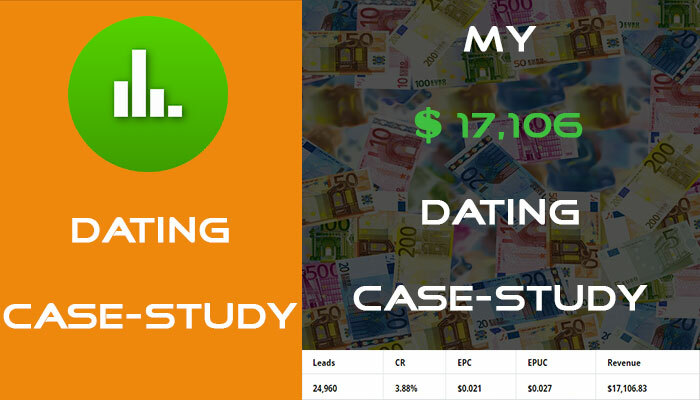 The traffic is huge, CTR’s are great and the ROI is awesome. Native Advertising is now top advertiser’s choice when it comes to paid ads. 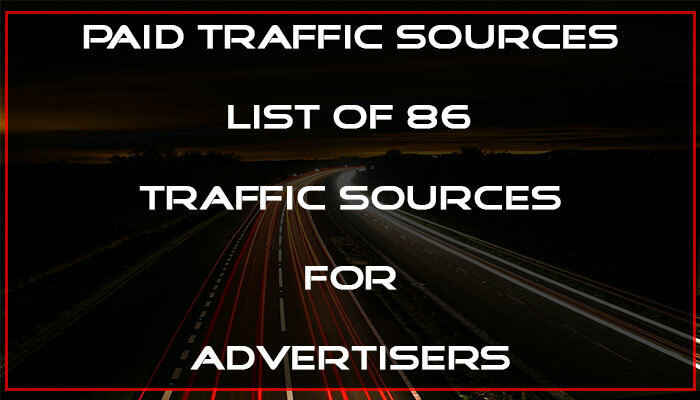 The best and quickest way to get highly targeted traffic for any kind of business is paid ads. But making profit from paid ads isn’t that easy. Lot’s of things come into play when purchasing paid ads and making profit out of those targeted traffic. 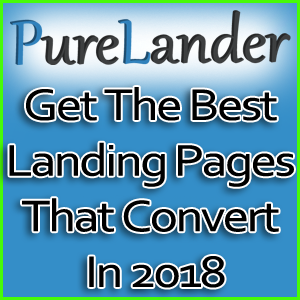 First step is to spend huge amount of money to test & optimize the campaign to determine the best winning combination of ad sets, landing pages and offers. Second step is to spy on others ads, to get an idea of what others are promoting and how they are doing it with their exact funnel. Second step sounds easy but if it’s done manually it can be very tedious, time consuming and data like how long and where it has been running will be missing. 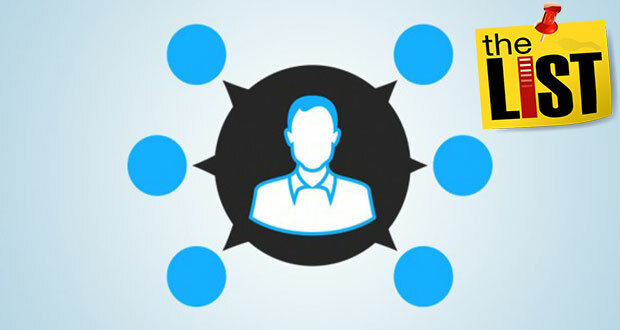 Data is the key to any successful paid online campaign. That’s where native ads spy tool comes into play. And, one of the hottest native ad spy tool right now is Advault. If you are new to native ads, then I would suggest you to read my previous post about “What is native ads“. 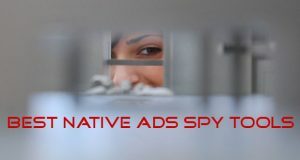 Advault is the hottest native ad spy tool which helps in discovering hottest native ads and copying winning campaigns within minutes. Sounds great, isn’t it? Well, in this advault review guide, I will show you how to do it effectively. But first thing first, lets get an overview of advault. Overview:- Advualt is a very powerful tool. Summarized features of advault is shown in the image below. Native Ad Networks Covered:- Advault covers total 13 ad network including Taboola and Outbrain which happens to be the biggest network with huge traffic volume. This feature alone make Advault stand out of the rest native ad spy tool as other spy tool only covers maximum 6 to 10 ad networks. Below are the images which shows the networks covered by advault and the amount of ads added to advault database regularly. Countries Covered:- Advault’s ads database is covered on 20 countries. Whereas, other spy tool only covers 10 to 12 countries and another spy tool covers 30 countries. Though it doesn’t cover 30 countries but it covers all the major countries. Ad Credits:- This offer is completely new and first of it’s kind. 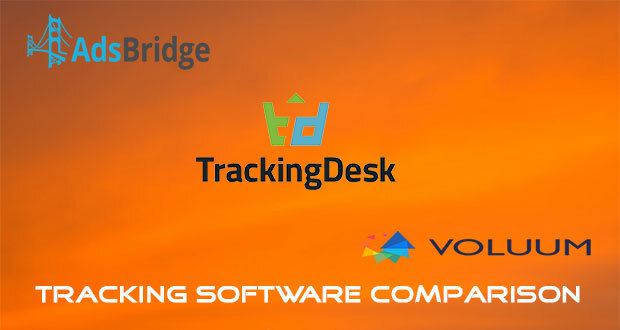 No other spy tool provides such huge ad credits to its customers. 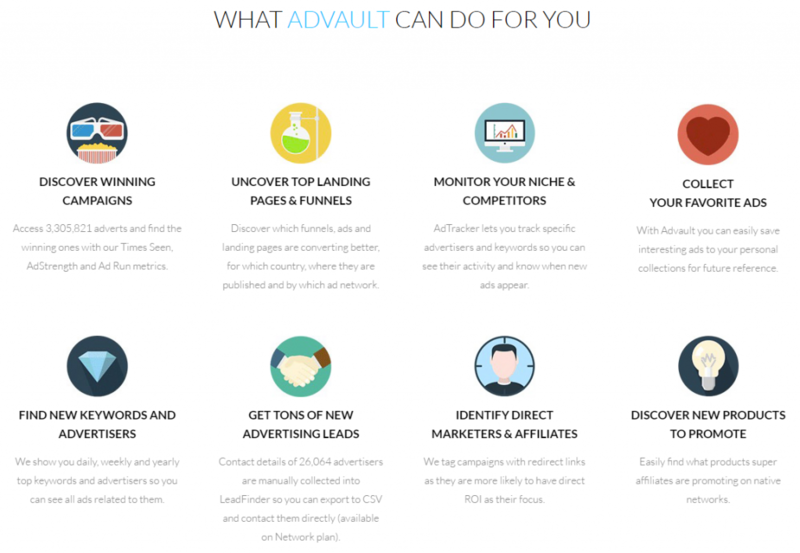 Yes you heard it right, Advault have partnered with 7 native ad networks and is providing ad credits worth of $3350 for FREE on first time deposit. Isn’t that great! The dashboard has a very easy to use panel. Lets find out how to use the tool. Searching Ads On Advault:- You can search ads on advault by going to top menu “Search Ads”. You can search any ads by keywords, advertiser url, tagline or publisher. You can also filter the ads based on filtering options like ad network, language, country, device, ad run duration, minimum times seen, minimum AdStrength, minimum publishers, minimum Facebook shares, date range & redirects/non-redirects. Here, redirect means affiliates(as they use it for tracking) and non redirect are generally direct-advertiser whose primary goal is branding and exposure. 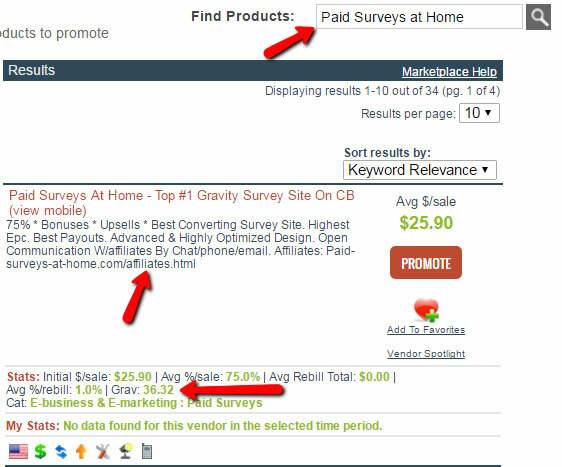 Below is a image of the option “Search Ads” on advault’s dashboard. Advault made it very easy to differentiate between an affiliate’s ad and a direct advertiser’s ad. Ads containing a green round icon with a white exclamation mark inside it is an affiliate’s ad, as the ad contain redirects on it’s landing page which is mainly used for tracking a lead or sales. The image provided below will make it clear. Saved Searches:- Advault gives you the ability to save any search which can be used for later use. All you have to do is click the heart icon beside search button “Add this search to AdTracker” in the SpyLog. Results also show you the history for this query. The image below will describe it. Favorite Ads:- User’s can add any ad to their favorite lists by clicking on the heart icon on any ad. The image below will explain it. LeadFinder:- LeadFinder gives you the contact details for every advertiser in advault’s database! Advault automatically and manually gather the name, phone and email for all advertisers in their database. 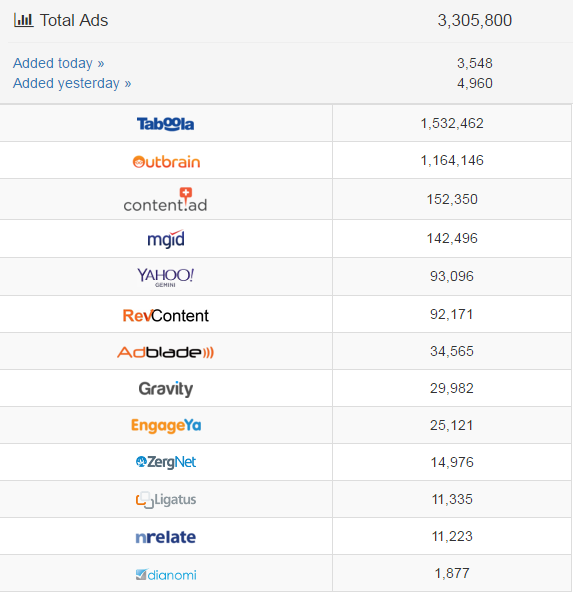 Right now there are 32,177 advertisers in their database and counting! This feature is only available for network account. Adcredits:- From this menu, you can claim your FREE ad credits coupons and can get 10-100% credit match on your first time deposit. Coupons aren’t available for trial accounts, its activated only for pro accounts and network accounts. Finding Winning Campaigns on advault isn’t that hard. All you need to do is filter your search. Any affiliate campaign running above 10 days is supposed to have some potential in it, else the advertiser won’t run it as he would be losing money with -ve ROI. For this guide, I have filtered the ads duration to 15 days and filter redirects to “redirects” only. I didn’t made the search with any keywords because I want to explore all the niches available on advault. I went ahead to check the promotional material and found out that the advertiser is using editorial news site style content as his landing page. I went further ahead to check out the offer and found out that the advertiser is using a clickbank product. The images are provided below. Since, this ad is promoting clickbank products, so finding the right offer wasn’t that hard. But if it would have been any CPA offer then you would have to search on offervault to find the right offer. So, finding a winning campaign is very easy, matter of few minutes. All you have to do is play with filters, analyze the ad, collect data, check on previous ads by the same advertiser on the same domain and niche, copy everything and set up your own campaign. I generally don’t recommend much product. 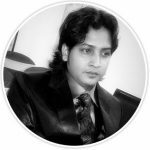 But when the product is good, I always share it with others (atleast things which I have tested and used myself). 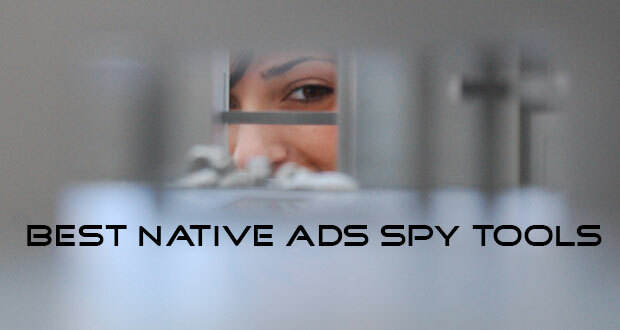 Advault is a great tool when it comes to spy your competitor on native advertising. It does all the hard work of gathering all the data for you. You can explore lots of new niches and can find some winning campaign within minutes. Advault is providing $3350 worth of Free ad credit to all new pro users. On the top of that advault is providing 9 days trial for $1 exclusively to all the ANC readers. 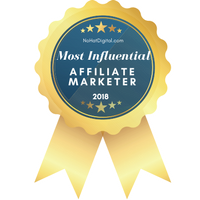 It’s a great deal for me because not only I can spy with advault but i can make proper use of the ad credit and earn it back on my affiliate networks. If not double, but close to it if i am doing close to +ve 100% ROI. ROI for native ads is really great and better than banner advertisement, so imagine how much you can earn with that $3350 ad credit. If you are still not convinced, then give ANC’s exclusive 9 day trial for $1. Test it by yourself and if you don’t find it worthy, then you can cancel it anytime. Wow another mind blowing native ads spy tool there. Straight to the point in achieving great campaigne within a matter of seconds. Thanks for pointing out more key notes on Advault. keep them coming. Souvik.